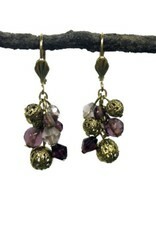 Shimmering, faceted beads mingle with brass filigree orbs. Available in olive, plum, spice, teal, and teal/brown. Measures 1 ½” long. 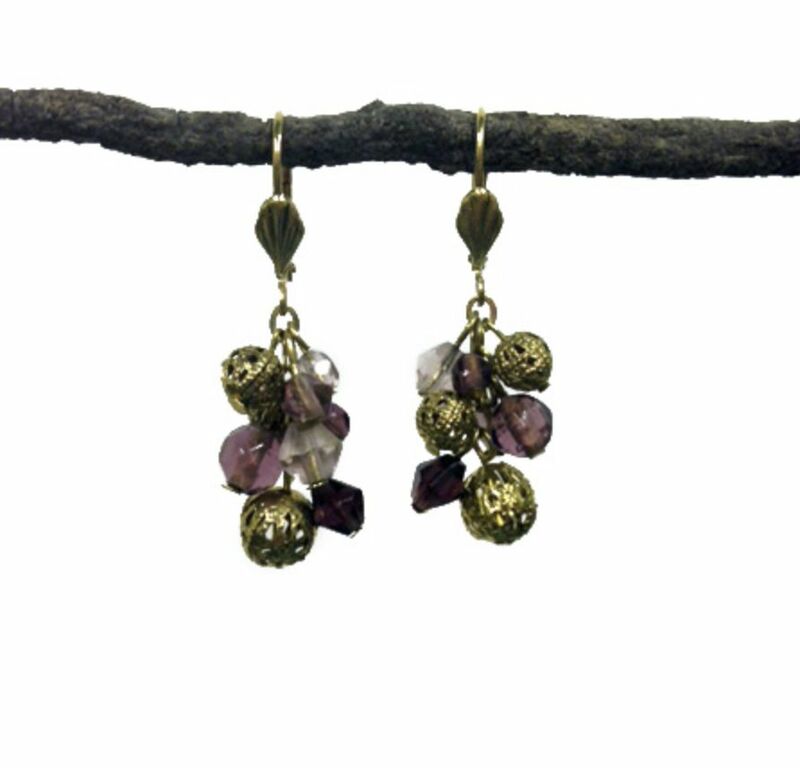 Handmade by low-income women artisans in New Delhi, India, who are part of a fair trade organization.